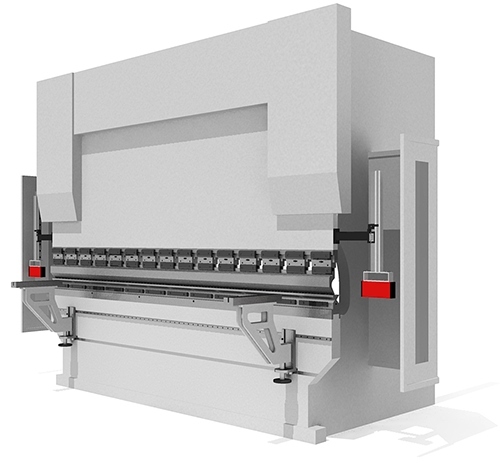 Press brake safety is the serious aspect which is usually should be cared by all operators of the machine. The high tonnage on the moveable traverse makes the actual risk for crushing or pressing of hands between punch and die, especially during the work with the small pieces when operator's hands should be near the bending punch to hold the part. And this is not the theoretical fact, these damages and injuries are happen and with the high risk to lost the hand. 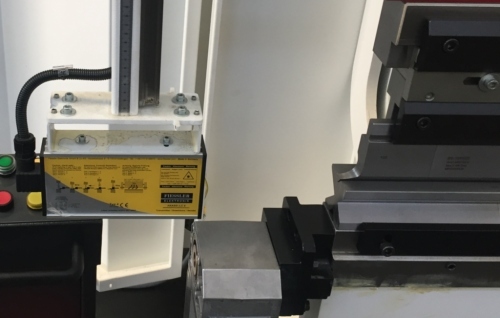 The low working speed means that the manufacturer intentionally blocks the high speeds after the approach of the punch and before the start of the bending. Low speed allows to the operator to control the bending area and to remove the hands in case of any risk for injure. The high working speed together with the constant safety device - light or laser safety beam projection to stop the press brake immediately if the line of bending will be interrupted or blocked (by hands of the operator). The removal of safety devices is prohibited according to the safety rules. If we are talking about standard safety devices such as laser or light protection (or light) curtains the machine will be equipped with 2 devices - emitter (or transmitter) to transfer the beam and receiver to get the signal from other side. If the signal is interrupted it means the reason to initiate the protection and block the machine functioning. Because the safety devices are optionally offered for additional price a lot of customers prefer the possibility of low working speed. But even if the manufacturer accepts not to block the high speed and it is not required in the country of installation the work without the safety devices is the serious risk for operator as well as the managers of the factory. The other safety device is the blocking fence from rear part of the machine to protect the access to the backgauge during the work. The fence allows for everybody to know and see the activeness of the machine and to not step in the area of any machine movements. One more theoretical risk that should be warned by the operator's manual is the risk of inclination of part during bending or positioning with the way the operator didn't expected with the risk of hit by metal part with the risk of getting damages and injures. There is no possibility to protect the operator with the safety devices against this risk so it should be minimized only with the operator's skills and experience to control the movement of the part during the bending. There are different companies who offer also the services to modernized the old press brakes according to the modern safety rules and CE-conformity and in particular to install the safety system and connect with CNC controller of the machine.